Sometimes, we just don't want to lug our standard strollers around, not when it's for just a quick trip to the grocer, or when you go travelling. For such purposes, an umbrella stroller is much more suitable - convenient and most importantly, light. 1. What Is An Umbrella Stroller? 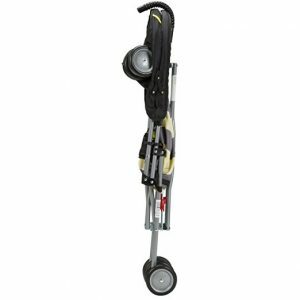 Umbrella strollers are the lightest strollers out of all types of baby strollers. They are usually made of lightweight aluminium and consist of the very basic features, which enable them to fold up compactly and vertically, shaped just like an umbrella! 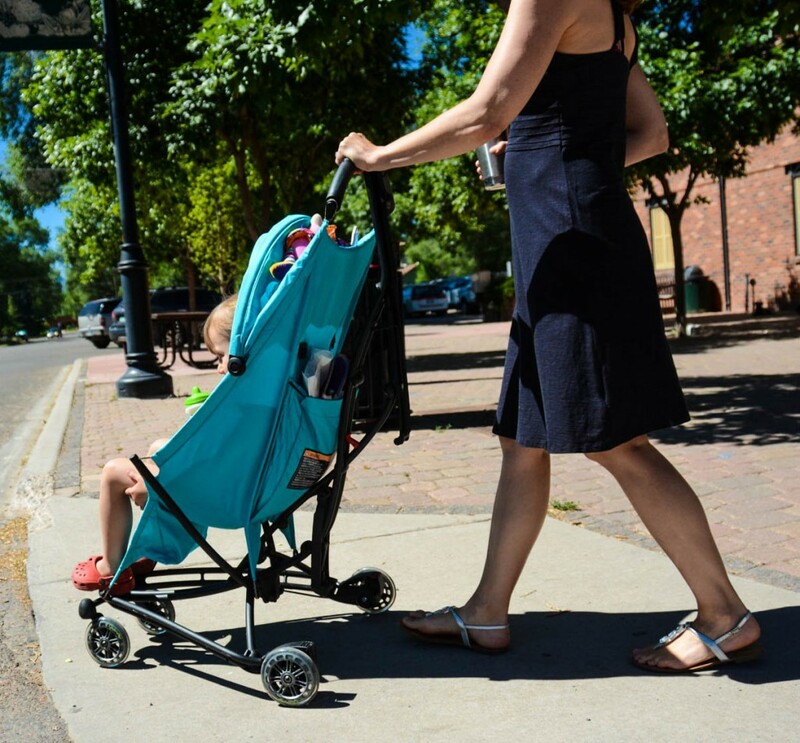 An umbrella stroller is the perfect choice for short trips (coffee and grocery runs) and travelling as it is convenient to keep in the trunk, not to mention easy to open and close in a jiffy. For tall parents, it's all about the handles. Umbrella strollers with low handles can cause backache as you will need to bend yourself to push it. It is therefore important to choose one that comes with height handles so that you can adjust them accordingly to suit your height. Otherwise, definitely choose one that comes with tall handles for your own comfort. The Summer Infant 3D Lite Convenience Stroller is one of the most popular and well-loved umbrella strollers among parents, and it makes for one of the best umbrella stroller for tall parents too, thanks to its handles being 42 inches away from the ground. Made of durable, stylish aluminium frame, this umbrella stroller also makes for one of the best lightweight travel stroller as it is easy to carry and push around at less than 13 pounds. It folds up compactly for easy storage and the newly improved version comes with a carry strap and auto lock for extra security, which makes it one of the best umbrella stroller for travel. 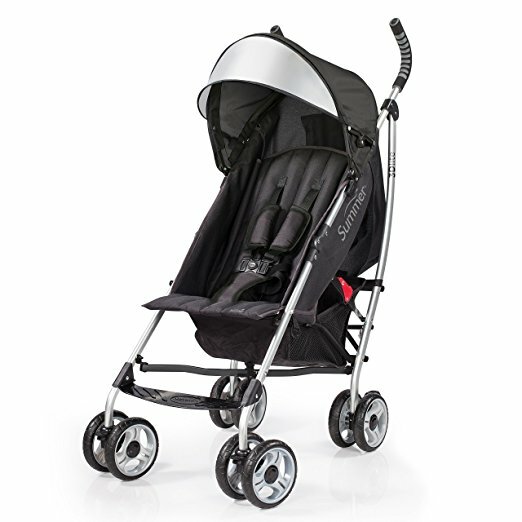 In terms of functionality, the Summer Infant 3D Lite Convenience is equipped with all the basics you need in a stroller. Baby's seat area is large and padded for comfortable seating and the 4- reclinable positions enables an almost lay flat setting for napping and on-the-go diaper changes. The swivel anti shock front wheels are suspension-equipped to ensure a smooth ride and the rear wheels are lockable for security. As with all good umbrella strollers, the 3D Lite Convenience has an adjustable and removable canopy with flip out sun visor to protect your little one's sensitive skin from harmful rays. The 5 point safety harness can easily be adjusted to 3 height positions to accommodate your growing child, and the extra large storage basket and rear storage pocket will keep all your necessities safe and secure. 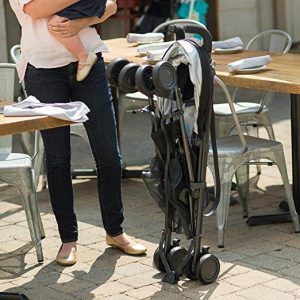 Overall, if you are in the hunt for the best umbrella stroller for tall parents, the Summer Infant 3D Lite Convenience Stroller is one of your best choice. And oh, for all its great features, it is very reasonably priced too so that's definitely a bonus! ​​UPPAbaby's G-Lite Stroller is another top choice of best umbrella stroller for tall parents. Similar to Summer Infant 3D Lite Convenience Stroller, this one has handles 44 inches away from the ground, perfect for the grip of taller parents. 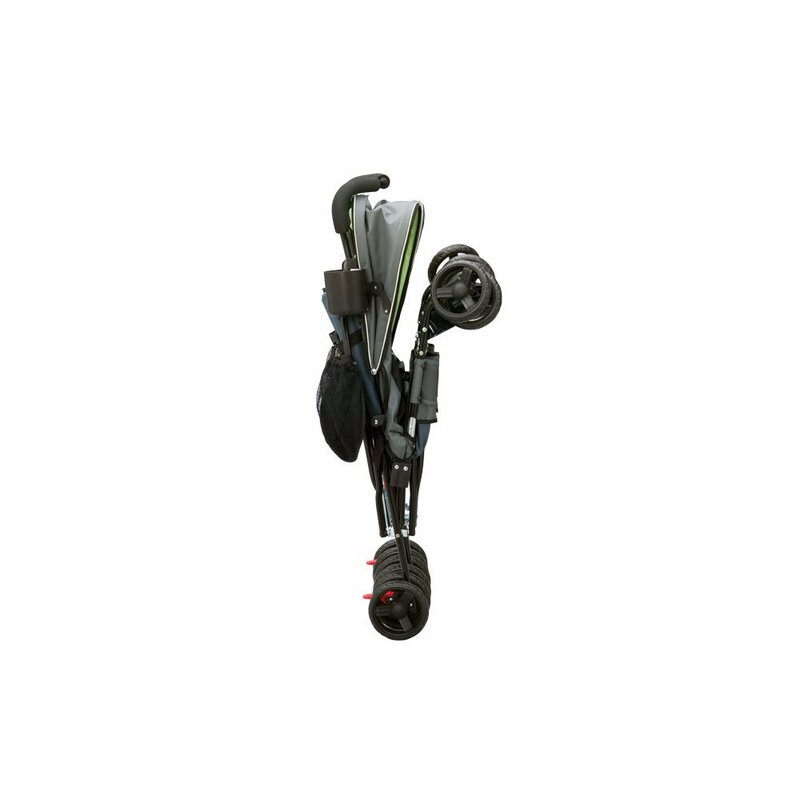 Weight wise, you can probably tell from its name - it is extremely lightweight at under 11 pounds, which you can easily carry with just one hand using its convenient carry strap. 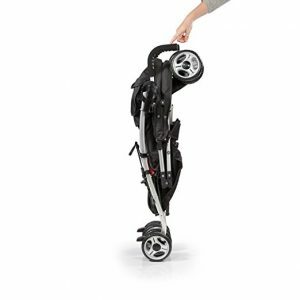 One thing that makes the G-Lite Stroller so well received by parents is that it can stand on its own when folded. You know, sometimes you just don't have the hands to hold onto your stroller when you need to tend to baby first. With this one, all you need is just your fingers (no foot action required) to trigger the buttons to fold it easily. Likewise, the UPPAbaby G-Lite has an extendable SPF50+ sunshade to shield your baby from harmful UVA and UVB rays and a breathable mesh sling seat to keep baby comfortable without adding weight to the overall frame. However, if you would prefer a reclinable seat, this one is not for you because the seat cannot be adjusted. Nonetheless, if you want a trusted and reliable umbrella stroller, the UPPAbaby G-Lite Stroller will definitely not disappoint. When it comes to twins, you can either get two of the same umbrella strollers, or you can get just one twin umbrella stroller which in our opinion, is a much more convenient alternative, not to mention cheaper. The Delta Children LX Side by Side Tandem Umbrella Stroller is hands down one of the best twin stroller in the market that is lightweight and practical. 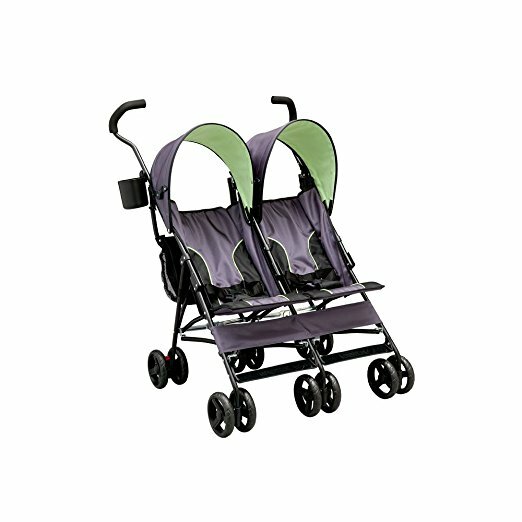 It is the best stroller for infant twins as your double bundle of joy can sit side by side each other. 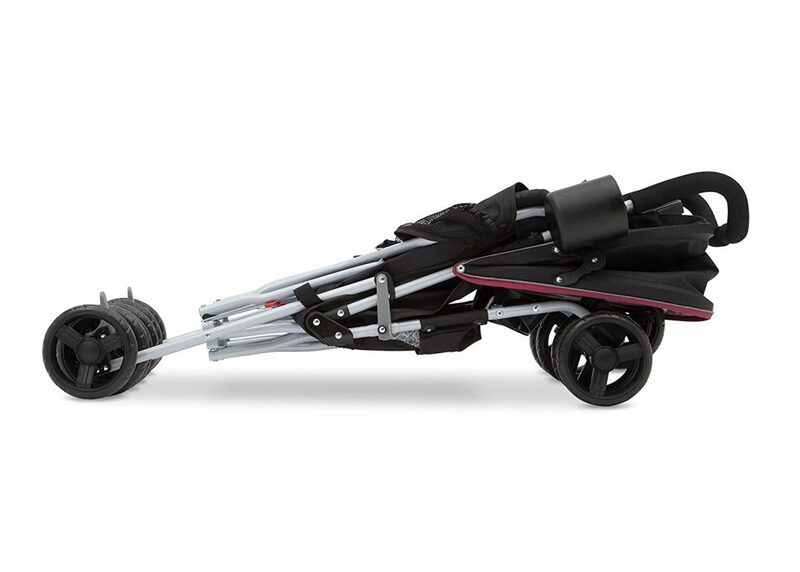 The need for mobility in a side by side stroller like this is crucial, which is why the LX version comes with a lightweight frame that fits into any standard 30" doorway, as well as 360 degree shock absorbing front wheels to ensure a smooth ride. We like how it is equipped with multi positions reclining feature for your babies so that they can nap comfortably while you push them around, not to mention the convenience for nappy changes. Best of all, despite it being a double stroller, it folds up easily and compactly for easy storage and travel. Other features include two large European style canopies for each baby to block out the harmful rays as well as 5-point harness with soft shoulder pads to keep them safe and comfortable. If you are looking for the best stroller for twins for your short trips or travels abroad, look no further, the Delta Children LX Side by Side Tandem Umbrella Stroller is the best compact double stroller for you. 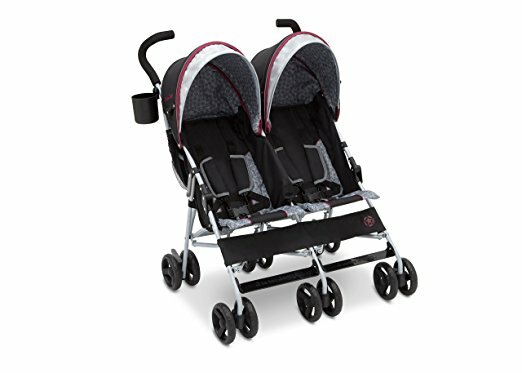 And oh, it is eligible for free replacement parts so really, this is definitely one of the best side by side double stroller you can invest in! A very similar alternative to the Delta LX Side by Side is this J is for Jeep Brand Scout Double Stroller, however, this one is even lighter than the LX Side by Side at just 18.3 pounds. Possibly the lightest double umbrella stroller in the market! As with all good umbrella strollers, the J is for Jeep Brand Scout Double Stroller also folds up compactly for easy storage and travelling, making it one of the best double stroller for travel. Its lightweight design fits through standard 30" wide doors and has multi-position reclining seat so that baby can sit comfortably and parents can manoeuvre easily. Abundant storage is provided in the double rear canopy bags and European-style canopies with sun visors are extendable to shield the harmful rays. It's worth mentioning that extra thought has been put into the five-point harness as it uses reflective material to ensure both parent and children can be seen at night. If you are deliberating between the J is for Jeep Brand Scout Double Stroller and Delta Children LX since they are so similar (both features and price wise), perhaps this may help - the former is able to sustain a maximum weight of 55 pounds, a total of 10 pounds more than the LX, so if you intend to use your twin stroller for as long as possible, the J is for Jeep Brand will perhaps be a better choice for you. 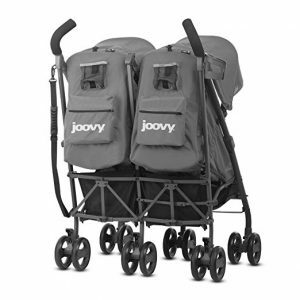 For those with a little extra budget, you may consider the Joovy Twin Groove Ultralight Umbrella Stroller. Made of a soft brushed fabric that is water resistant, this is the best reclining umbrella stroller in that each seat is independent of one another, meaning, you don't have to have both seats recline simultaneously and vice versa. If one child is up, simply adjust the seat to a sitting position while the other continues sleeping in the near-flat recline setting. With this stroller, this is doable. 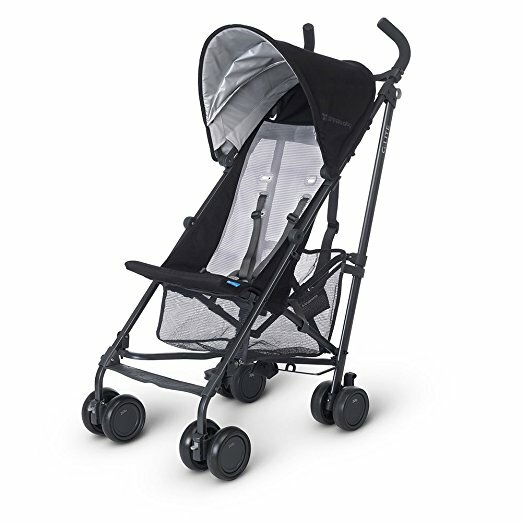 As with all good twin strollers, the Twin Groove Ultralight has UPF 50 canopies for sun protection and is easy to manoeuvre to fit through standard doorways. A 6-wheel suspension and adjustable footrest makes the ride more comfortable and the peek-a-boo windows allow you to keep an eye on babies at all times. In terms of storage, it is by far the stroller that offers the most - four in-seat mesh pockets to keep bottles, sippy cups, snacks or toys, 3 cup holders and two zippered pockets for your keys, phone and valuables. Safety reflectors that will illuminate at night are installed so you can go for your evening after dinner strolls. And oh, if you think it will weight a ton with so many features, you're in for a surprise - it weighs less than 26 pounds (it is still an umbrella stroller, after all)! Thanks to its lightweight aluminium frame, compact standing fold with auto-fold lock and shoulder carry strap, you can easily bring it with your travels. 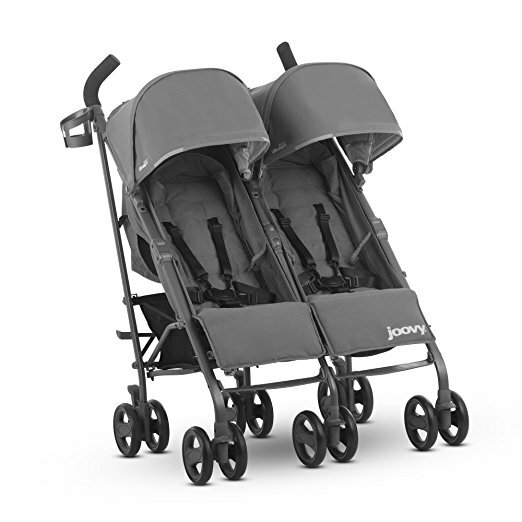 The Joovy Twin Groove Ultralight Umbrella Stroller is not meant for twins only. If you are ready for a second child, it makes for the best double stroller for newborn and toddler too because it has a bassinet mode to accommodate newborns, while each seat can hold a child up to 50lbs (that's a maximum total weight of 100lbs). So really, if you look at the longevity of use with this one, it really is value for money that's worth the investment made! For those that are looking for the best cheap umbrella stroller, we have found two great choices for you - they are both under $30 but despite being so affordable, their quality are not compromised. You can probably tell from the design of the Cosco Character Umbrella Stroller that this is going to be one fun umbrella stroller that your kid will love riding in. 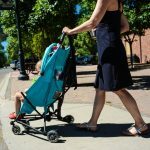 Available in 7 colours (in different characters), this is a super lightweight stroller that weighs less than 8 pounds (!) - any one will be able to easily manoeuvre it around town. 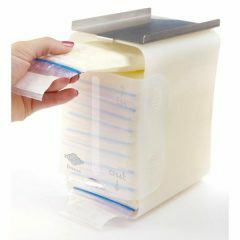 You'll love the easy, compact fold that lets you take it along in the car or hide it in the closet when not needed (made possible through the ultra-slim fold up design). This umbrella stroller has covered handles for a comfy grip. It also has a heavy duty, three-point harness to ensure your child's comfort and safety as you travel over bumpy surfaces. Don't think its manoeuvrability will be compromised by its price point - it features easy-to-manouevre wheels for quick steering and step-on locks for stability when stopping. The Cosco Character Umbrella Stroller is what it is - a stroller meant for convenient short trips. As such, it does not have any storage (so that its lightweight-ness is made possible) but just a seat with canopy for your little one to sit in while you wheel him/her around until 40 pounds. If all you want is a fuss free, easy to assemble stroller with no extra features that is durable and affordable, the Cosco Character Umbrella Stroller will surely be a delight to have! Another umbrella stroller that fits the bill as the best umbrella stroller that is cheap and affordable is the Disney Umbrella Stroller with Canopy. This is the best stroller for Disney as it comes in 7 different Disney characters and colour, so you will definitely find one that suits your preference. Further, it folds down compactly which makes it easy for portability when you're navigating through the busy Disneyland. Likewise, this is a very basic umbrella stroller with no storage whatsoever which enables its 8.5 pounds weight in total. 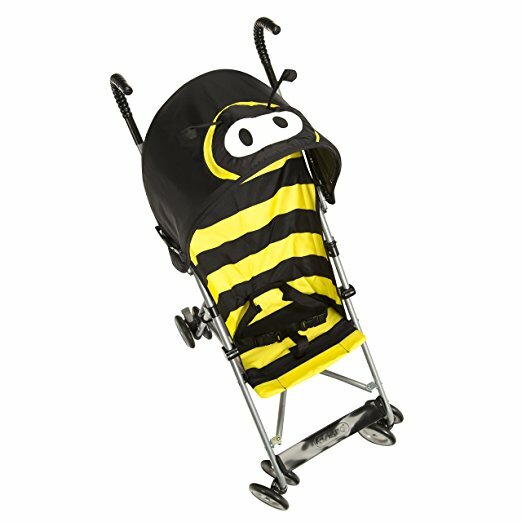 It accommodates a child up to 40 pounds and the handles are covered for your comfort pushing. 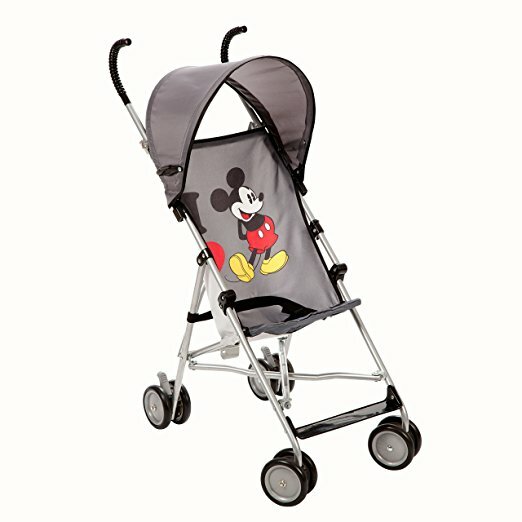 If your little one is a fan of Disney, the Disney Umbrella Stroller with Canopy will certainly put a smile on his/her face. Do note that it is not suitable for newborns, but definitely make for one of the best umbrella stroller for toddler. And the best thing? It is one of the best lightweight umbrella stroller in the market too! Sometimes, we just don't want to lug our standard strollers around, not when it's for just a quick trip to the grocer, or when you go travelling. For such purposes, an umbrella stroller is much more suitable - convenient and most importantly, light. Find and compare some of the best Black Friday and Cyber Monday bargains these brands have to offer!